VIRGINIA BEACH, VA. (November 21, 2016) – AAA projects over 1.3 Million Virginians will be traveling this holiday season with over 90 percent of them on the road. 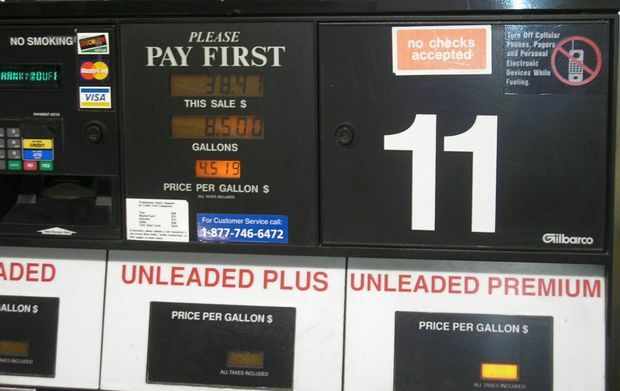 Good news for Virginians, gas prices have dropped since the beginning of November. In Virginia, the current average price for gas is $1.99 which is 4 cents less than a week ago and 11 cents less than a month ago, but six cents more than last year. Whereas, the average price for gas in Hampton Roads is $1.94, which is four cents less than last week, 14 cent less than last week, and five cents more than last year. Today’s national average price of $2.14 per gallon represents a savings of three cents per gallon versus one week ago and nine cents per gallon on the month. Significant yearly savings persist and pump prices are only five cents higher than compared to last year. Markets rallied early Monday morning and oil prices hit their highest point in three weeks as continued reports of an OPEC production agreement circulated. Last week, OPEC and non-OPEC members signaled that they might be getting closer to finalizing the details of their production agreement and proposed a production cap for Iran, which up until this point was not supportive of disrupting the amount of oil they produced. Following these discussions, many traders anticipate that it may be more likely that OPEC can solidify their production agreement at the November 30 meeting in Vienna, Austria. At the close of Friday’s formal trading session on the NYMEX, WTI was up 27 cents to settle at $45.69 per barrel.